A mixed media interpretation of Katniss Everdeen as the Mockingjay. 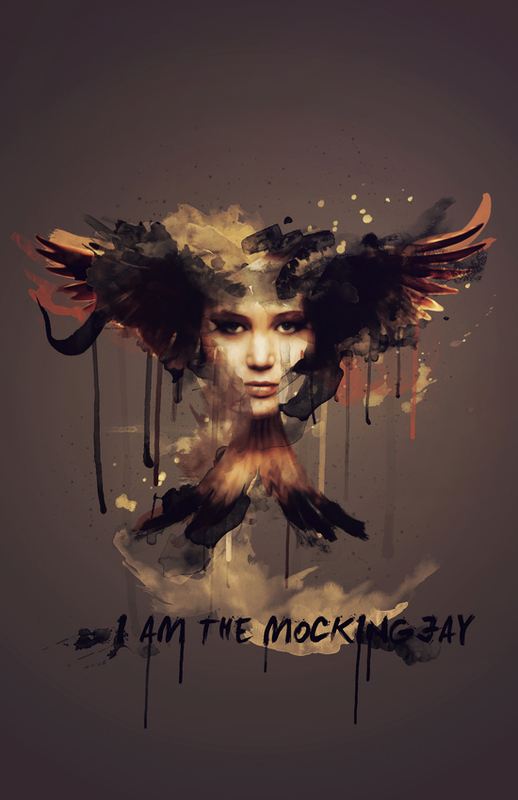 Select Print Size: 7.0" x 10.0" 13.0" x 19.0" 16.0" x 23.0" 20.0" x 28.0"
A mockingjay is a bird that was created through mating of jabberjays and female mockingbirds. When Katniss Everdeen wore a pin with this bird on it in the 74th Hunger Games, the Capitol was angry as it represented a slight against them due to the mistake that caused their existence.